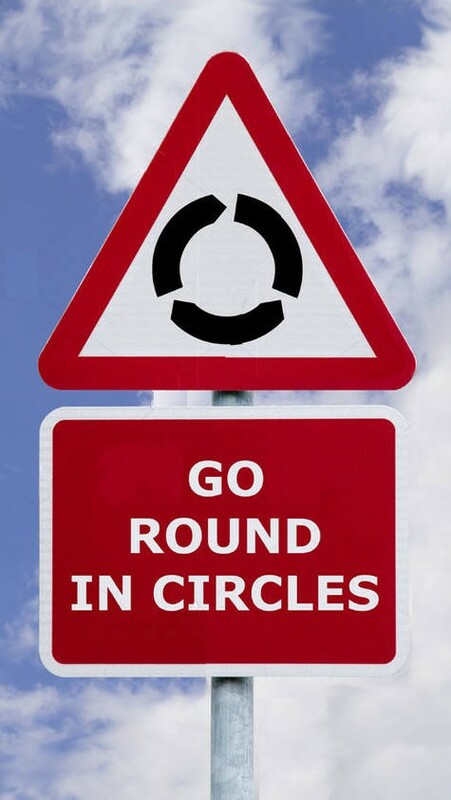 The British Gazette » Brexit: Going round in circles. As alluded to by Doctor North in his blog-post today (http://eureferendum.com/blogview.aspx?blogno=87206), trade deals can and do take a long time to negotiate and put into effect. Given the level and depth of the trading relationships and patterns that have developed in the UK since it began the process of progressively surrendering sovereignty to the entity that became the European Union from New Year’s Day 1973; it is not unreasonably or unrealistic for Dr. North to talk in terms of decades and not years, and certainly not the days, hours and minutes that Dimwit Davis and Boris the Buffoon did during the 2016 referendum campaign! What we are seeing in the behaviour of the UK political class post the emergency EU Council meeting recently follows a sadly predictable pattern; that of seeking to manoeuvre themselves into a position of electoral advantage in relation to their principal opposition. The Rt. Hon. David Lidington, PC, CBE, the Member for Aylesbury, Minister for the Cabinet Office and Chancellor of the Duchy of Lancaster and Madame’s de facto Deputy Prime Minister informs us that he hopes to have a Brexit deal agreed in time to ensure that the EuroParl elections need not be contested (in the UK). British Gazette comment: Don’t hold your breath! Before Madame was handed a reprieve from the political gallows by the EU this organ had speculated upon the possibility that Madame would find herself facing a No Deal Brexit and thence Parliament passing Emergency Legislation or the House of Fools passing a motion requiring Madame to revoke Article 50 and remain in the EU. We do not think that this possibility has gone away. It has merely been postponed to Halloween! Expect the next “date with destiny” to be another emergency EU Council meeting in Brussels this time on Thursday 24th October 2019. It of course ironic that will be on the 90th anniversary of Thursday 24th October 1929, the infamous “Black Thursday” which was the start of the Wall Street Crash and of course the 11th anniversary of “Black Friday” (24th October 2008) a prominent day in the financial crisis. Should the above come about, expect a General Election to immediately follow.